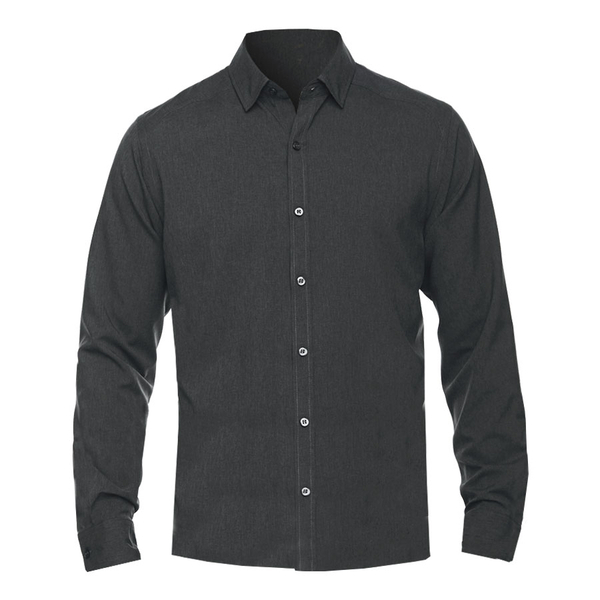 This moisture wicking performance shirt has a hidden button-down collar, back yoke with side pleats, double-needle flat felled side and underarm seams and tailored adjustable cuffs with buttoned sleeve plackets. 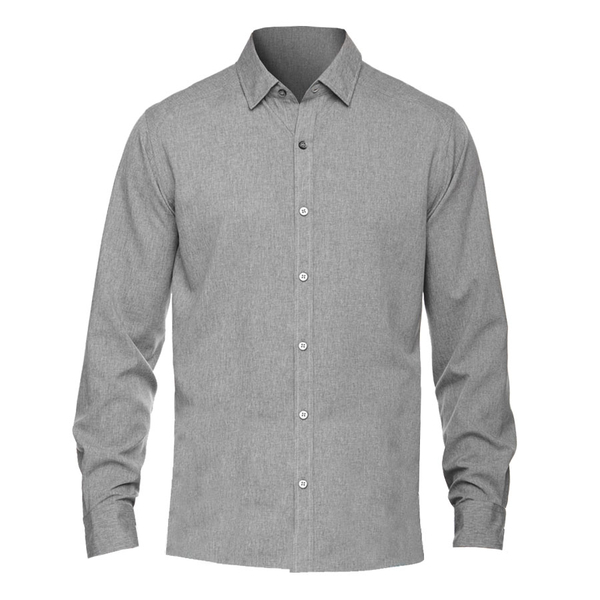 Made of 100% polyester, mechanical stretch, two-tone melange. Body Width 21.5" 23" 24.5" 26" 27.5" 29"
Full Body Length 27.5" 28.5" 29.5" 30.5" 31" 31.5"
Sleeve Length 34" 35" 36" 37" 38" 38.75"
Neck Circumference 16" 17" 18" 19" 20" 21"